I love Sunday mornings but what I am really looking forward to is tonight - Sunday evening, knowing that there are no lunches to make, no planning to do, just relaxing!! But before that, I will be reading all about the wonderful mentor texts that are linked up with the awesome ladies at Collaboration Cuties!! Be sure to head over there and check out all of the great books and ideas being shared today! 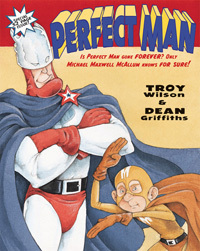 When his favorite superhero retires, Michael Maxwell McCallum knows that he won't be gone for long. 1. It fits in with my Superhero classroom theme! 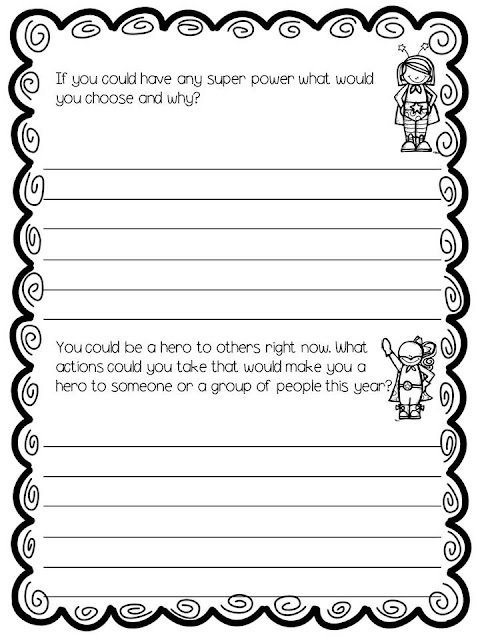 I like to start the year out with my theme and this year I am going back to Superheroes. 2. Making Connections. Coming off summer movie season almost every student can make connections between the book and the world A.K.A. Iron Man, The Avengers.... and then to everyday heroes too! 3. Inferences. 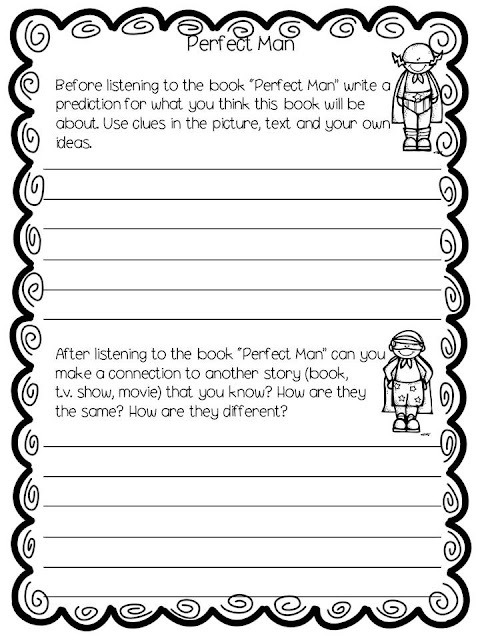 Is he or isn't he Perfect Man - use evidence from the text to support your thinking, woohoo, love it!! Here is a little follow up work I use with this book. Click here to download a copy. Be sure to check out all the great books that everyone is sharing today!! See you tomorrow for Made it Monday!! Be sure to check out all the freebies being shared at Manic Monday too! I've never heard of this book but it looks super cute! (I love the book Amazing Grace!). I will have to check this book out for sure!! This looks super cute! What great resources!!! This is a new book to me, and it sounds like a winner. I have placed it on my list. Thank you so much for sharing the freebies! They will come in handy. I am going to have to check this mentor text out. 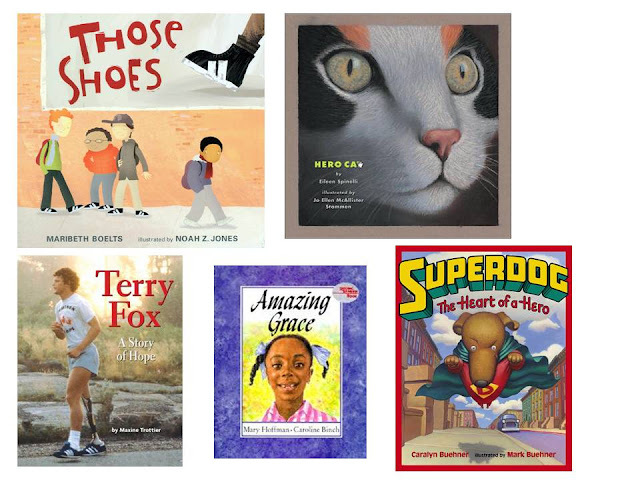 I plan to teach the Reading strategies to my 4th graders the first week of school and am looking for the perfect mentor text to use. I may have found the one thanks to you. Love your post! Passing this along to a teacher friend who used to do everyday heroes with her kids many moons ago... She will love your book suggestions! I do! I do not have any except for Amazing Grace and Those Shoes. Thank you for the writing sheets as well. I have never heard of that book. (The Perfect Man) It sounds so funny! I will need to check it out, especially with that great freebie you just posted! Glad you are finally enjoying summer now too! I don't know why, but not packing lunches is one of the greatest perks of vacation! I've never heard of that book, either! Love it! Thank you so much for including this freebie! You are too awesome! This book is new to me, but it looks fantastic. Thanks so much for sharing. I love Those Shoes and Amazing Grace for theme also. I definitely want to check out the Terry Fox book also. 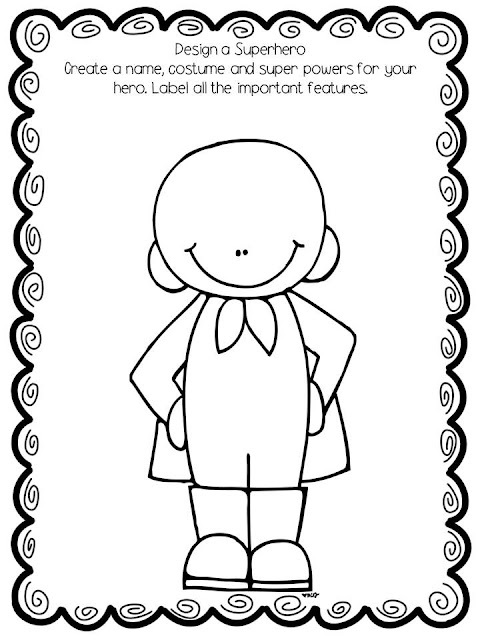 I love that you have the kids design their own super outfit! Great idea! Thanks for sharing at Manic Monday! New book to me as well. It certainly sounds like one the will capture the students attention. Thanks for sharing your freebie and other book suggestions as well. What a great recommendation! We have a leadership theme at our school, so this fits in perfectly. I like the activities you made as well. I have it pinned. Thank you! By the way, your blog looks great. I think I started following you. I've never joined via "a circle".